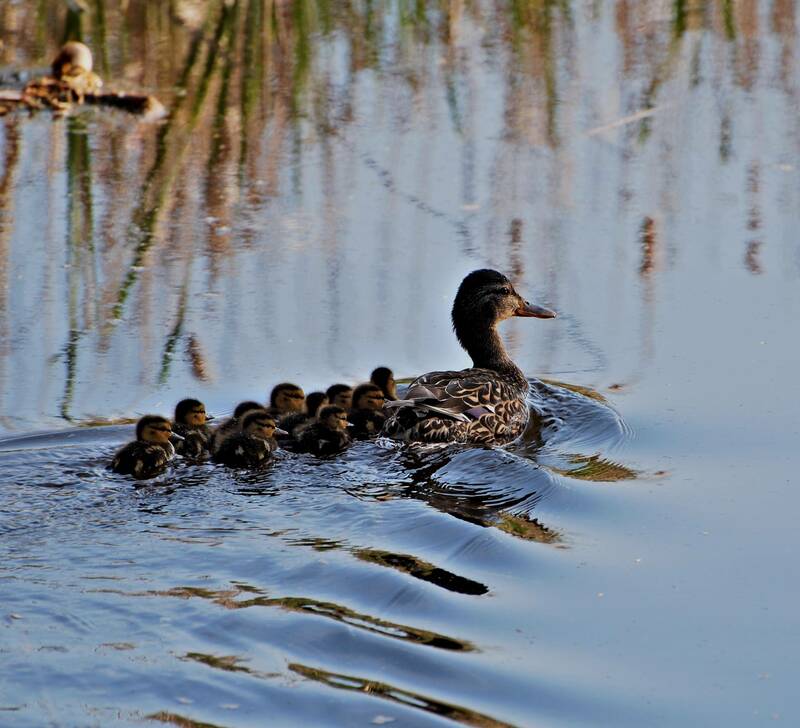 When a mother duck takes her ducklings for their first swimming lesson, you never see her pose group questions like, “So is everyone ready to do this or shall we wait until tomorrow? Does this look like a good spot to start or do you like that slope over by the bridge better? Are all of you okay with getting wet or shall we just keep practicing our walking?” Nor do you ever see her push them from behind or go chasing after the stragglers. No, she simply steps into the lake, glides away and doesn’t look back to check and see if they’re following her lead. She knows that they are because (1) she’s the mom, (2) she projects confidence, and (3) she’s a natural born leader. There’s a lot that can be learned from this tableau if you’re in charge of a team that’s venturing into uncharted turf (or surf). During the years I worked in both the private sector and state government, I had a plethora of managers who believed that every decision – no matter how small – had to be decided by committee and consensus, a strategy that all too frequently resulted in lost opportunities as well as loss of morale. I think there’s also a collective sense that leaders don’t really work that hard because they make everything look easy; accordingly, duckling followers are often unaware of just how much vigorous paddling is going on beneath the surface in order to move forward until they have to actually hit the water themselves. Lastly is the fact that newly hatched birds will attach themselves to whatever they see when they first open their eyes. In most cases this imprinting occurs with a parental whom they will happily follow hither and thither as loyally as if they were connected by an invisible string. Thus, the scamper down to water’s edge is a no-brainer; If Mom’s going somewhere, it has to be someplace interesting. As a parallel, consider what type of imprinting transpires on a new employee’s first day in the office. If you, their leader, aren’t there to show them around, don’t be surprised if their initial attachment is to whoever is available, friendly, and eager to show them the ropes. If it’s the office gossip or, worse, a competitor for your job, we’ve got a sinking feeling about where this will go.